RT Quasar - template from the design studio RocketTheme, suitable for creating various types of sites. 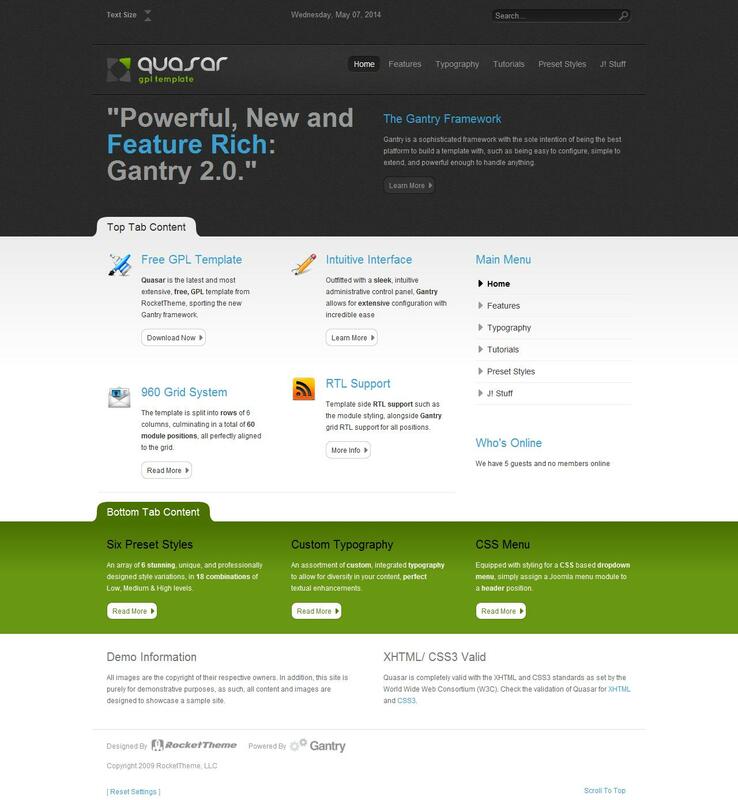 RocketTheme studio designers offer an interesting template for Joomla 2.5, it is called RT Quasar. Platform for this pattern is a powerful Gantry Framework, which actually ensures the success of the operation of many applications. Structure settings RT Quasar is very flexible, allowing to choose the optimal combination of all parameters, including styles that determine the design of the finished site. The template has 6 different color options settings. Interface as simple and straightforward, and a plurality of modular products in addition gives you the opportunity to engage in the construction site without undue stress and time-consuming.